Never a good mix, unfortunately, it usually turns out bad for the mice and sometimes the equipment. 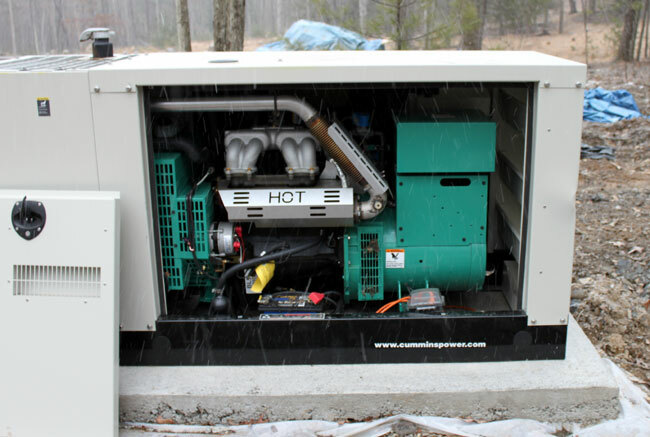 This is a Onan GGMA 20 KW propane generator installed in a rural area, not that the location matters that much. Mice will find what they perceive as a safe secure spot to hold up for the winter. 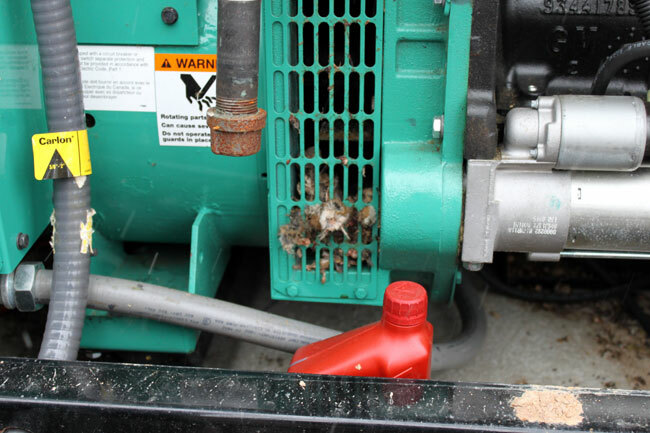 Unfortunately, the mice decided that the generator cooling fan was a good place to make a nest. 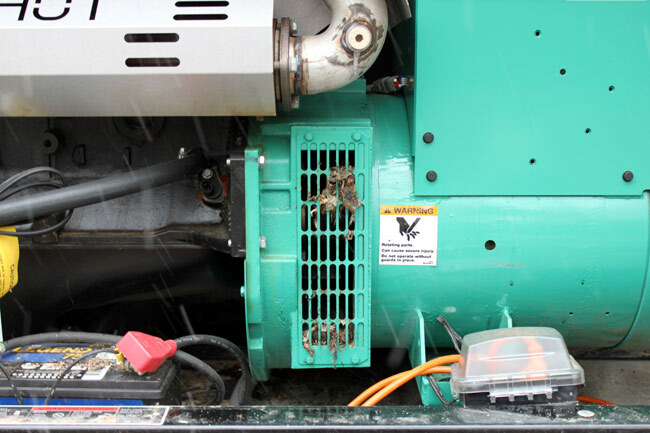 It probably was until the generator started, then the mice had a quick lesson in centripetal force. This will require some additional maintenance in the spring time when I change to oil. By that time, the carcases should be mostly dried out and easier to deal with. 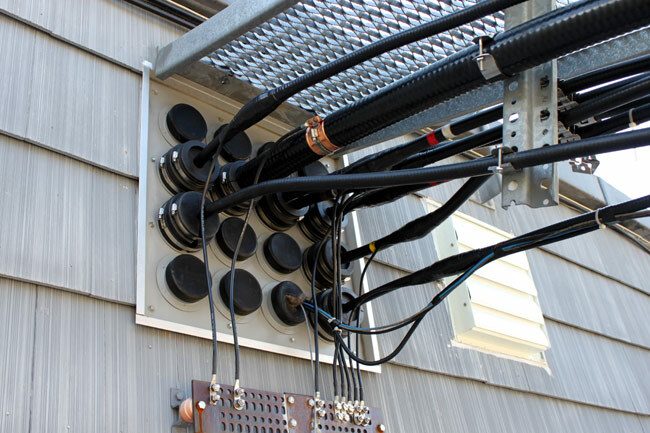 The mice are generally a nuisance, getting into ATU’s, transmitters, electrical panels, spare parts boxes, etc. Once in place, they begin to bread and reproduce. The gestational period for a mouse is 21 days, which means populations rapidly increase creating further problems. If left alone, mice will chew through electrical insulation, control wires, cardboard boxes, packing material and so on. They tend to carry diseases like hantavirus and bubonic plague. I don’t usually agree to using poison to get rid of pests, it tends to linger in the environment and accumulate up the food chain. However, judicious use of some type of poison is usually the only way to effectively get rid of a mouse infestation. Wherever possible, make sure that all openings and holes into equipment and buildings are sealed up. Do not kill snakes and other predators, who will assist in keeping the mice in check. Employ traps and wear gloves when removing dead mice and mouse parts. Beware of fleas. 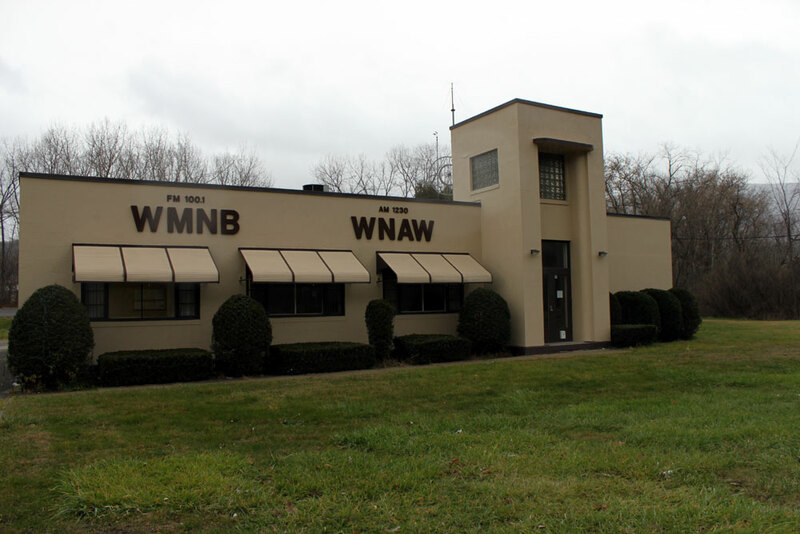 Originally signed on as WMNB in 1947, it is a Class C AM station on 1230 KHz, one of thousands in the country. 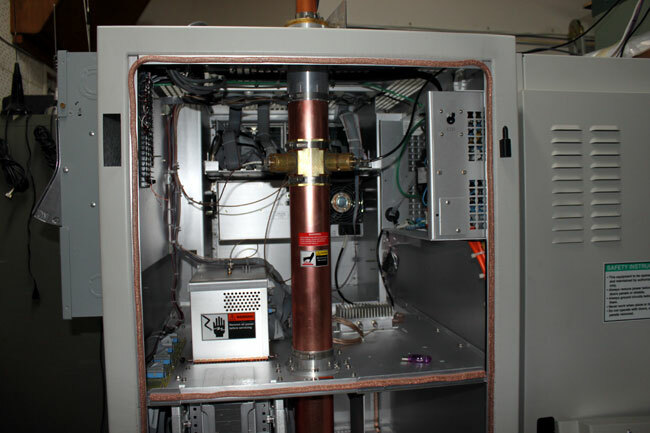 Initially, it had a power of 250 watts, upgrading at various times to its current power of 1,000 watts. What is different about this station is the studio building. It is located in it’s original place on Curran Highway on the south side of North Adams. The studio is a late Art deco design, complete with small glass atrium in the lobby. Like many older radio stations, this installation was built on a raised floor. The walls and doors are all well constructed for maximum sound attenuation. The doors are large, heavy and solid wood. 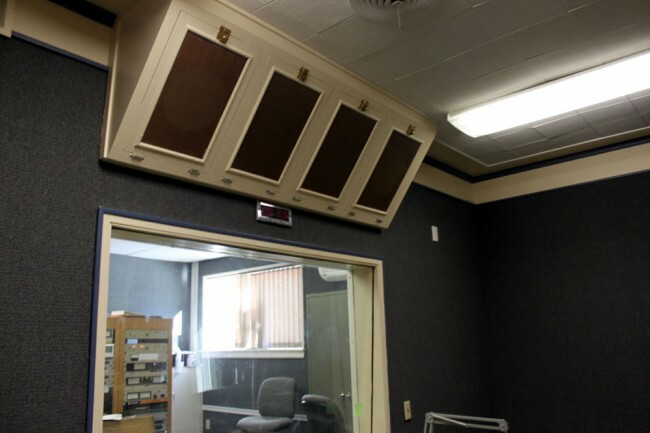 Inside, the original studios are laid out with a control room, a broadcast studio and a live performance room. At one time, the live performance room had a grand piano. 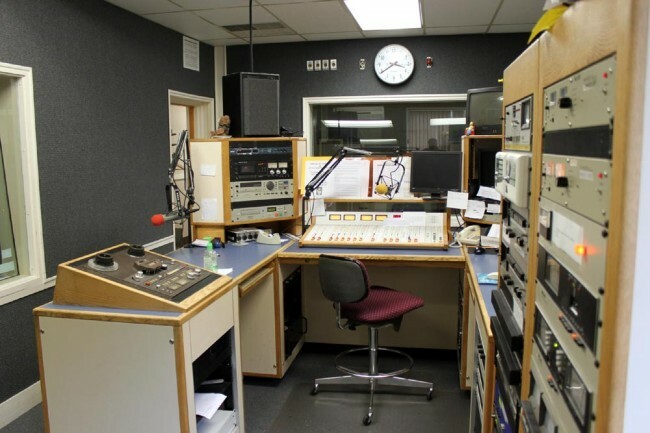 Several times per week, live music shows were broadcast on the station. There was a large news room, a big corner office for the General Manager and sales managers. 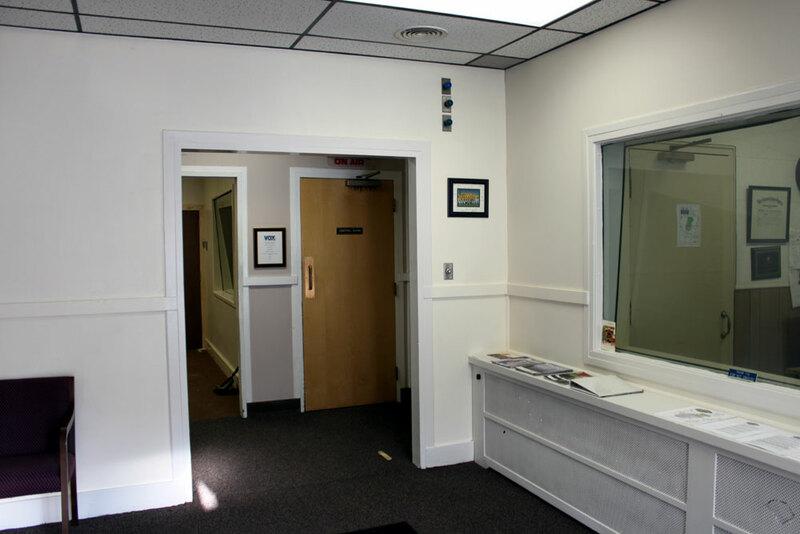 WNAW studio, looking into the control room. Back in the day, the announcer, who’s only concern was announcing, worked in a separate studio from the engineer on duty, who worked console in the control room. The audio level limiting consisted of turning down the level on the console if the announcer started speaking loudly. They often communicated with each other with hand signs through the windows. At the time that WMNB was signed on, the Adams/North Adams Massachusetts area was in the heart of the north east manufacturing belt. Sprauge had a capacitor plant in Adams, GE was making plastics in Pittsfield, There where many textile mills still in operation and so on. The population was predominantly working middle class. Obviously, the console has been changed since those days. The current console is a Audio Arts R-60. This serves as the control room for WNAW and WUPE-FM. 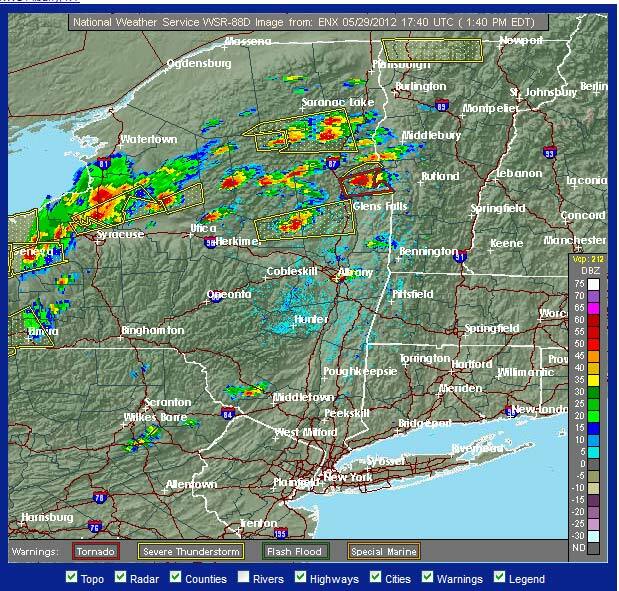 The programming for WUPE-FM comes from Pittsfield on a T-1 line. From here, it is relayed to the transmitter site on a 950 MHz STL. 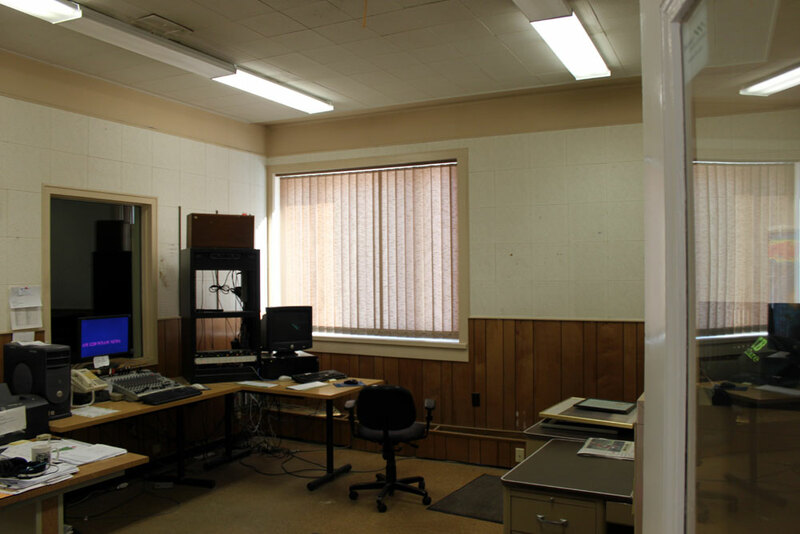 WNAW transmitter is located about 2/10 of a mile south of the studio building on Curran Highway. 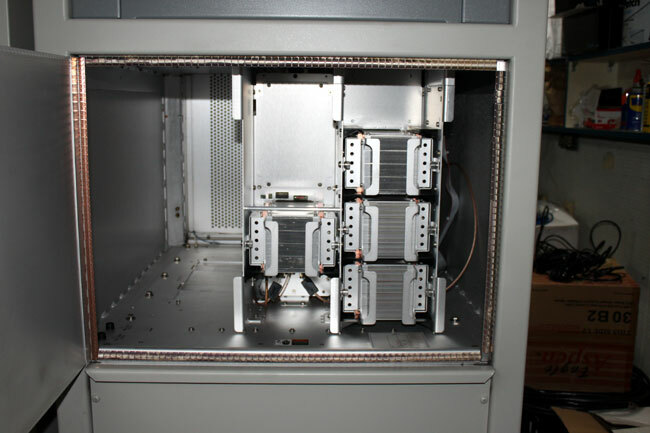 It consists of a skirted self supporting tower with a Gates 1 solid state transmitter. 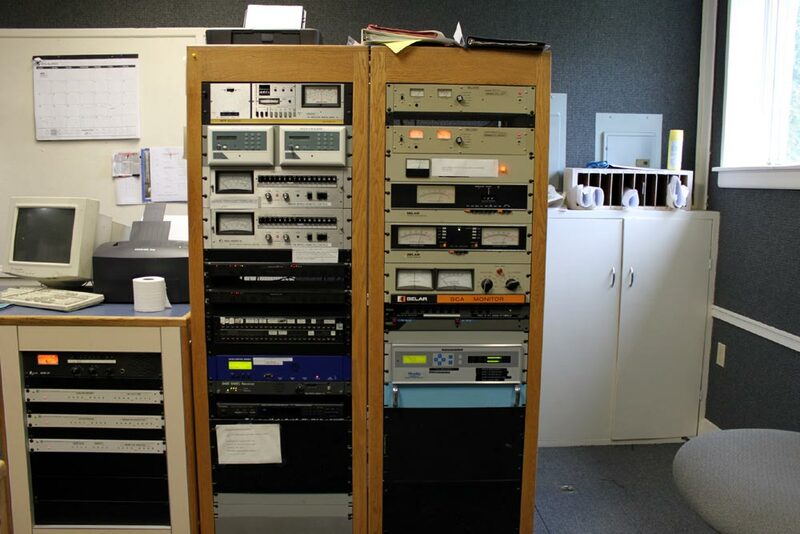 Equipment racks containing the T-1 equipment, modulation monitors and STLs. Note the very old Moseley TRC-15 remote controls. 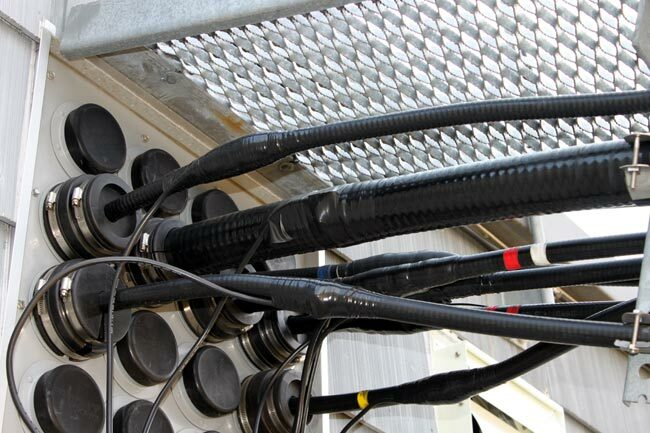 We have been unwiring these at the transmitter sites and disconnecting the TELCO lines. 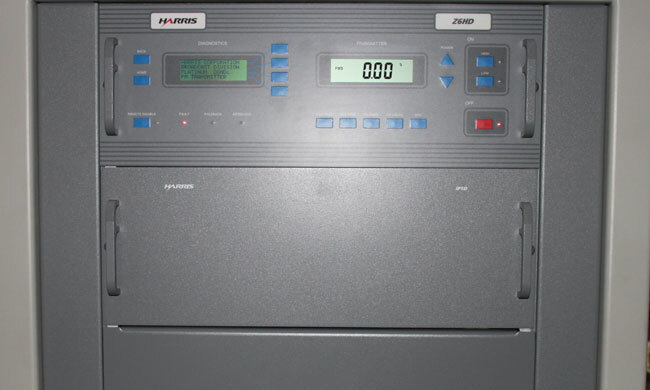 The transmitter sites now have Sine Systems dial up remote controls. In 1961, WMNB-FM (now WUPE-FM) signed on the air from a tower north east of down town, off of Mohawk Trail (MA route 2). 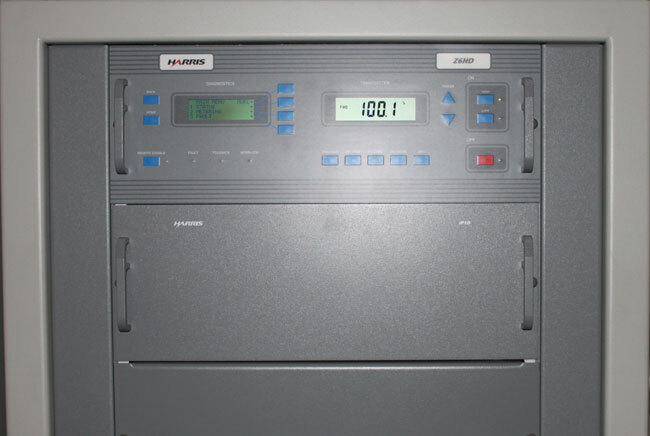 It broadcast on 100.1 MHz with an ERP of 1,000 watts using a Gates FM1B transmitter. 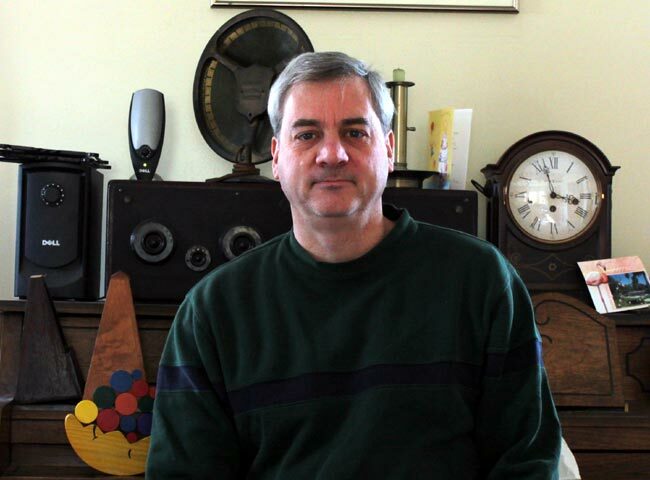 WNAW continues on today as a community based radio station and is well liked and supported. The FCC has become concerned about Jamming devices for Cellphones, GPS and WiFi. So much so, they have released Enforcement Advisory No. 2012-02, which specifies fines in excess of $100,000 per incident. In recent days, there have been various press reports about commuters using cell phone jammers to create a “quiet zone” on buses or trains. 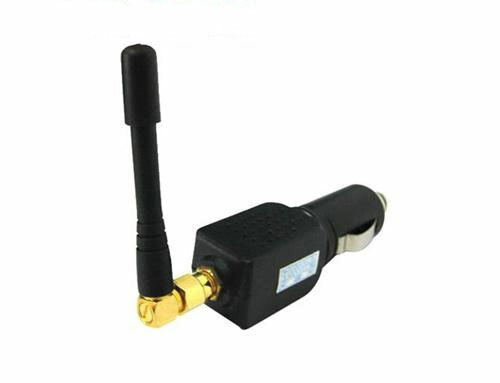 We caution consumers that it is against the law to use a cell or GPS jammer or any other type of device that blocks, jams or interferes with authorized communications, as well as to import, advertise, sell, or ship such a device. The FCC Enforcement Bureau has a zero tolerance policy in this area and will take aggressive action against violators. GPS jammers are increasingly being employed by those who are concerned about their privacy. That set of people can range from truckers who don’t what their bosses to know every aspect of their journey, citizens concerned about GPS tracking devices on their vehicles, or ordinary people who don’t want the phone company tracking their every move via GPS enabled cellphones. If only the FCC were as diligent and judicious in pursuit of other interference issues in the radio frequency spectrum. A few that immediately spring to mind; IBOC to analog adjacent channels, broadband over power line, electrical noise on the medium wave band, illegal 2 way radios on RPU frequencies, etc. Of course, there is no money in those issues. Wasn’t the FCC about to allow Lightsquared to install high powered 4G data transmitters all over the place, thus jamming GPS anyway? I know they nixed that plan after the general uproar over loss of GPS by things like aircraft in flight, etc. Hypothetically speaking, in a mobile operating environment while traveling down the interstate at 70 MPH with thousands of other vehicles, it would be the proverbial search for a needle in a haystack. This would be especially true for a GPS only jamming device, which would require a very small amount of power to jam the weak satellite signals. It presents an interesting problem for the cash strapped enforcement bureau. Not all jamming devices are this small, however. After doing a Google search for GPS jamming devices I notice that some of them are great big honking things, with heatsinks and fans, capable of generating large signals on every cellphone, WiFi, 3/4G and GPS frequency. Those larger jamming devices would be very easy to locate and disable. Perhaps if the technology wasn’t so pervasive and readily abused by certain corporate and government entities, the desire to jam it wouldn’t exist. The translator is going on the air as a soft AC? WHAT? Further down in the article it goes on to say that the translator will actually be relaying an HD-2 channel from WQSH, 105.7, a station 22 miles away. Oh, well, that makes it okay, right? Notice it says “FM” or “AM.” Since we all know that FM stands for Frequency Modulation and AM stands for Amplitude Modulation, where does that leave HD Radio®, which is neither. 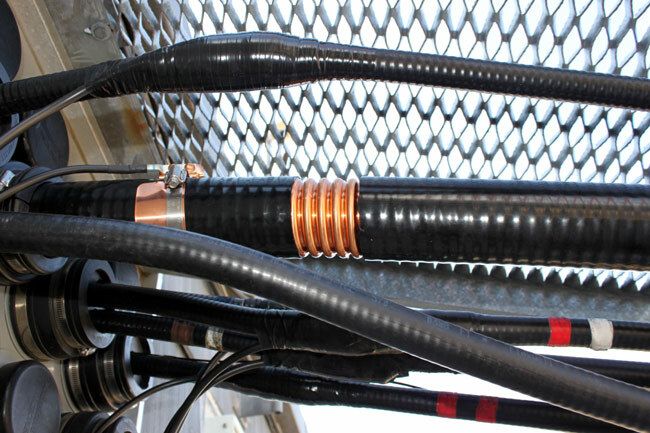 As a point of technicality, HD radio uses a OFDM modulation scheme. It may seem stupid or simple to point that out, but that is the way the rules are written and HD Radio® is not AM or FM no matter which frequency band it is using. The second point is that translators are not supposed to originate local programming. Again, this is a simple work around. By putting the programming on some HD2 channel from somewhere, it is legal. They are not even trying to hide the fact that the translator is the main market signal, calling the station “Hot 99.1,” which is the frequency of W256BU, not the so called originating station, 105.7. Blatant, blatant, blatant disregard for the intent of translator regulations and ownership regulations. This is something that the FCC can address in its broadcast ownership review, but of course, they won’t. This whole, wink, wink, nod, nod business is getting a little bit difficult to stomach. The question is what can be done about it?